Shah Rukh Khan thanks his fan but AbRam didn’t seem too interested in it! AbRam has grown up a lot. 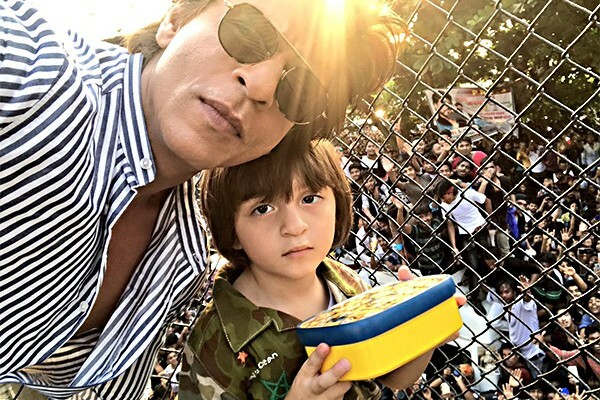 From a kid, who would come to the balcony to wave at the crowd assembled outside Mannat to catch a glimpse of daddy Shah Rukh Khan to a boy who looks a bit hassled by all the attention. 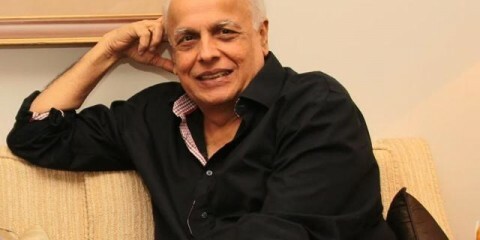 We showed you how he was just not interested to return home and SRK had to actually carry him to the chopper so they could return to Mumbai from Alibaug. Then when he got AbRam along to wave at his fans outside Mannat, the kid looked a bit disinterested. And now we have Shah Rukh Khan’s tweet where he calls his fans ‘a sea of love’ with AbRam pic in it too. He looks a bit bored if you ask us! Shah Rukh Khan met the media today on his birthday to cut the cake with them. He mentioned how AbRam wished him, ‘Happy Birthday, Birthday boy.’ The kid had a great time at SRK’s birthday bash in Alibaug and even photobombed Alia Bhatt and Katrina Kaif’s picture. But guess he is tired after last night. We would like to know what’s in that tiffin box of his though.